Logistics is the business of transporting goods from one area to another. It’s become particularly popular for business owners to outsource their logistics needs to other companies and there’s a clear reason for this. Logistics can be expensive. It can cost thousands to move heavy equipment from one area to another. Sometimes it’s cheaper for companies to hire a company to complete the service, cutting the cost as well as the responsibility. 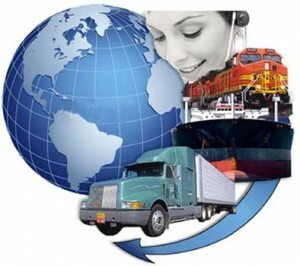 However, there are a lot of changes in the logistic industry taking place now and some just on the horizon. Soon the business of logistics could look very different indeed. So, if you are running a logistics company right now, you do need to keep track of these trends and ensure that your business is prepared for the future. Here are some of the challenges you may be facing as well as the advancements that could impact your business model. New tech is certainly going to play apart in the future of logistics. Let’s start by thinking about self-driving vehicles. Self-driving vehicles aren’t coming, they are here. In fact, just last week Disney World Insiders revealed that the major theme park will begin using self-driving shuttles to transport its staff from place to place this year. If that goes well, and they expect it to, shuttles that are self-driving will be used to transport guests as early as 2018. They’re not the only ones testing this tech either. In the UK alone, there is estimated to be well over 100,000 self-driving cars on the road. So, how long until drivers are no longer needed and trucks can drive themselves. Probably not as long as you think and in the next few years you can bet companies are going to be toying with this tech. It’s not hard to see why either. Every year thousands of accidents are caused by long haulage trucks on the road. It’s becoming a public outcry that something must be done because the general consensus is that the truck drivers are typically at fault. Or rather they are working to the point of exhaustion, under orders to complete deadlines. With new self-driving tech, this wouldn’t be a problem, and there are companies right now looking into the development of self-driving trucks. However, even if they weren’t drones could certainly bring out a change to deliveries. Last year Amazon successfully used an air drone to deliver a package. Now, it’s worth pointing out that the package in question was flown just five hundred yards to a house with an absolutely massive back garden. However, Amazon has stated they are keen to further develop this tech. As such, the days of logistics drivers could certainly be numbered. This is nothing but good news for business owners because drivers cost the model an absolute fortune. But this isn’t a change that is going to occur right away. So, let’s look at something that is. There are plenty of logistics companies that are already using tracking devices and tech to ensure that customers and clients can keep track of deliveries. It gives them peace of mind and ensures they know that the product will be delivered on time. Or, that it’s definitely on it’s way. For customer support teams this can be a complete nuisance with even the slightest bump in the schedule immediately being questioned. However, that’s irrelevant at this stage because customers don’t just want to be informed, they expect it. In 2017 if you’re not able to provide constant updates on deliveries to customers, your business could be in serious trouble. You will almost definitely be beaten by a business that will mainly be due to customer reviews. Well over 90 percent of customers check online reviews before committing to using the service of a company. If you have people constantly complaining about late deliveries and no tracking information, it’s definitely going to lead to problems for your business in the future. Rise Of The Little Guys. There are two types of logistics businesses. There are the massive corporations like Yodel and there’s the little guys that don’t even have a name. Recently the little companies are growing in popularity because they offer cheap prices to big business. Businesses like services that are cheap and reliable. It’s certainly helped that starting in logistics has become easier than ever. With truck finance, you can get a vehicle for the road to use for deliveries even with no capital in your account. Once you find customers and clients, you can start making a profit. Of course, there’s another trend with little companies too. Little companies are hiring unskilled, cheap labour to drive their vehicles. Does it hurt their business or help it? While customer opinions can vary, it does seem to benefit the businesses that choose to use this option. It allows them to compete with the bigger businesses on the market by cutting costs, gaining a larger slice of the demand. It’s fairly obvious that logistics companies are becoming more reliant on technology. Information about deliveries is accessed online and stored on cloud servers. There’s no way around this because it’s crucial that logistics companies maintain a high level of efficiency. The problem is that this leaves them open to potential breaches and hacks. If that happens, it can leave the business crippled. As such, logistics owners must be willing to invest in higher levels of security. It is the only way they can keep their company afloat and ensure that a scandal doesn’t bring it crashing down. It’s clear then that there is a lot for logistics business owners to consider when planning the future of their company. Labour might not be an important factor for much longer, but tech could play a more pivotal role. Meanwhile, the role of customer opinion is only increasing and will continue to shape which logistics companies stay on top of the market in the next few years.